Brush off the dust and have some fun! I was in the Nintendo camp during the 80s, so I didn’t get much exposure to the Sega Master System. 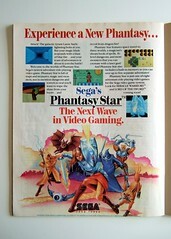 Phantasy Star has always been highly spoken of, so maybe it’s time to track down a copy!